What comes to mind when one thinks of security? The image of a heavily guarded premises with tough and muscular bodyguards enters the mind. This kind of representation is not totally wrong though. Security has always been associated with iron shields, vaults, locks and bolts; the image of bravery and security. Nevertheless, secured premises shouldn’t exude cold and uninviting vibe, especially for businesses that rely on the customers presence. TimeTec BLE-2 and TimeTec Security App duo present a more welcoming feeling that matches the open and minimalistic feature in which modern companies are striving for without compromising the security at all. TimeTec BLE-2 controller can seamlessly be installed out of sight and the system shifts the control entirely to TimeTec Security App on the mobile. 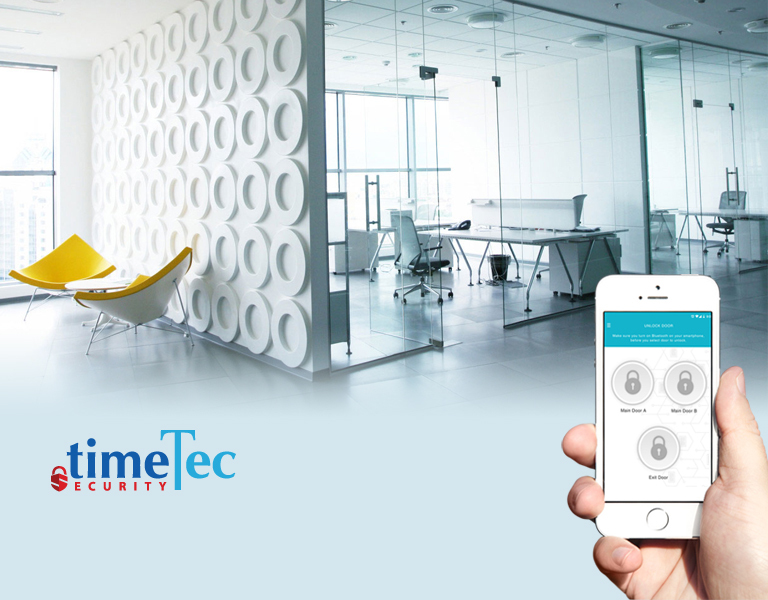 Simply connect TimeTec BLE-2 to TimeTec Security and unlock the doors straight from the App via 4 options: Tap to Unlock, Voice Command, Auto Unlock and scan QR Code. Through bluetooth low energy connection, the Mobile App will then send the command to TimeTec BLE-2 controller to unlock the door as well as keep the transaction details for future reference. Simplicity and minimalist feature of TimeTec BLE and TimeTec Security redefine security for the modern days. Security doesn’t have to be rigid and uninviting, choose TimeTec for a secure, cozy and inviting work premises. To enquire or purchase TimeTec BLE-2, contact info@fingertec.com today and enjoy 20% off, offer ends 31 December 2018.